Wind Bastion’s operators are very unpleasant to come up against: they’re versatile, deadly, and have the tools to become indispensable additions to their respective sides. My hands-on time with Kaid and Nomad on the new Fortress map shows that simplicity still reigns supreme in this tactical shooter. Kaid’s gadget, the Rtila Electroclaw marries Ela’s Grzmot mines to Bandit’s Shock Wire: you can throw three of these claws to surface and electrify all reinforced walls, hatches, barbed wire, and deployable shields within their proximity. With three of these Electroclaws you can cover over twice as many objects as you can with Bandit’s Shock Wire; the only drawback is a lengthy activation time. It’s not a gadget you can have much fun with, but being able to electrify hatches will make Kaid an essential operator on map’s with plenty of vertical play. Kaid also boasts some formidable weaponry, with the choice of an Aug A3 SMG or the semi-automatic, slug-firing TCSG12 shotgun. The former is stable, fast-firing, and boasts excellent range for an SMG, while the latter is a Frankenstein’s monster of a shotgun: it deals 71 damage per shot, has unlimited range, can fire 12 slugs before reloading, and can even carry an ACOG scope. While Kaid looks like a replacement for Bandit, he’s at his best when working alongside the GSG 9 defender. For starters, that lengthy activation time between placing an Rtila Electroclaw and it electrifying a surface means he’s not able to quickly react to hard breachers like Bandit can, making him all too easy for Thatcher to counter. In key specific defending scenarios, like defending the garage door on Consulate or Chalet, you’ll still want to bring Bandit. Kaid’s strengths are twofold: each of his claws is able to electrify many more devices than Bandit’s Shock Wire, and he can place them where enemies are not able to easily shoot them. Place it just right and you can electrify a wall and some nearby barbed wire, denying drone entry and hard breachers, forcing attackers to use valuable gadgets just to clear the device. To this end, the Rtila Electroclaw also serves as an important counter to Maverick, who could easily eliminate Mute Jammers and Bandit Shock Wire due to their predictable placement, allowing a Thermite or Hibana to get to work. Maverick can still carve lines of sight in electrified walls, but he won’t have an easy time finding and destroying an Electroclaw. 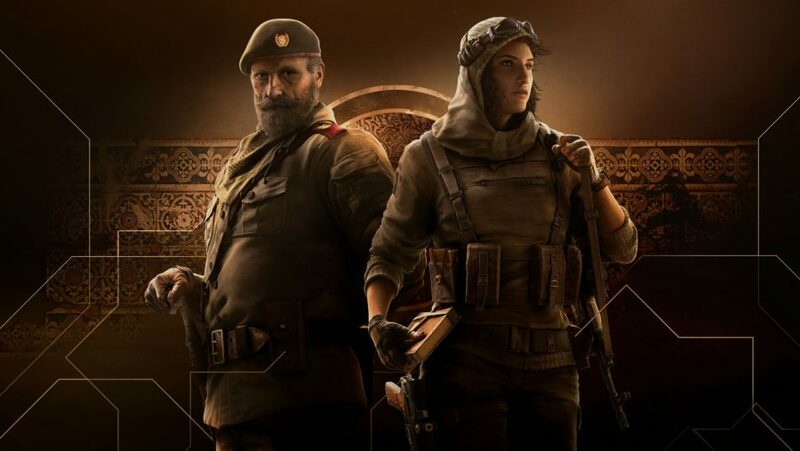 Rainbow Six Siege’s gadget economy has been leaning increasingly in favour of attackers, who have gained plenty of destructive clout over the past three years, but defenders have had no help in the role of area denial since Mira’s introduction at the start of Year Two. Kaid’s gadget might not be particularly eye-catching, but it’s an essential addition to an ever-expanding meta. Nomad, on the other hand, introduces a totally new gameplay mechanic to Siege: knockback. Her Airjab rounds stick to any surface and are triggered by proximity, propelling anyone caught in their blast radius through the air and onto their backs for a couple of seconds. Get the placement right and you can have a lot of fun with this gadget, from knocking enemies through walls to punishing run-outs by flinging them off a rooftop. More importantly, the Airjab provides attackers with their first trapper, and while the sonic blast does no damage to operators, it leaves them vulnerable for a couple of seconds and alerts you to potential roamers. 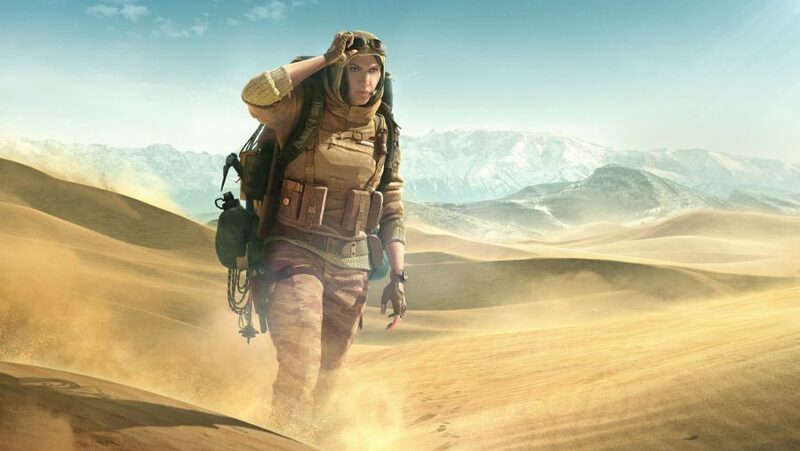 Nomad can carry either the punchy AK-74M or the slightly more accurate ARX200 as her primary weapon. While both assault rifles have their merits, the game has always been missing an older AK variant and this one is absolutely gorgeous. Nomad shares the same secondary as Kaid, which is a scoped .44 Mag Semi-Auto pistol that provided one of my favourite moments from the hands-on session – swapping out to the .44 pistol to quickly headshot an enemy who had been hurled into view by my Airjab. Much like Capitão, Nomad excels in post-plant scenarios and is one of the only attackers with an area denial gadget, albeit a non-lethal one. Her Airjab darts are small and discreet, allowing you to get very creative in terms of where you place them – knocking down an enemy is the easy part, the trick is being in the right place to capitalise on the advantage. When the defuser is planted you can leave a dart nearby to catapult defenders away from the device, giving you a precious few seconds to find an angle on them and get the kill. Alternatively, you can fire it at an enemy who is hiding behind cover to literally force them out into the open, which is especially handy against a Mira. Fortress is the new map entering rotation as part of the Operation Wind Bastion update, and is one of the biggest maps to date. Defenders have two floors to prowl but only a couple of staircases to allow movement between each floor, massively limiting vertical play between the first and ground floor, especially when you factor in Kaid’s ability to electrify hatches. To even things up, Fortress offers attackers plenty of ways in via the roof, with doorways that can’t be reached by defenders, staircases so they don’t have to risk rappelling, and a couple of hatches for good measure. However, while the new map is very easy for attackers to enter, once inside they enter a sprawling labyrinth of tight corridors and cluttered rooms. Fortress feels like it’s been designed with anchors in mind, with most of the bomb sites taking place in spacious rooms with plenty of unbreachable external walls and tight angles for defenders to work with. It’s not often you get to feel safe while holding down the objective room in Siege, but Fortress almost feels cosy when playing on defense. 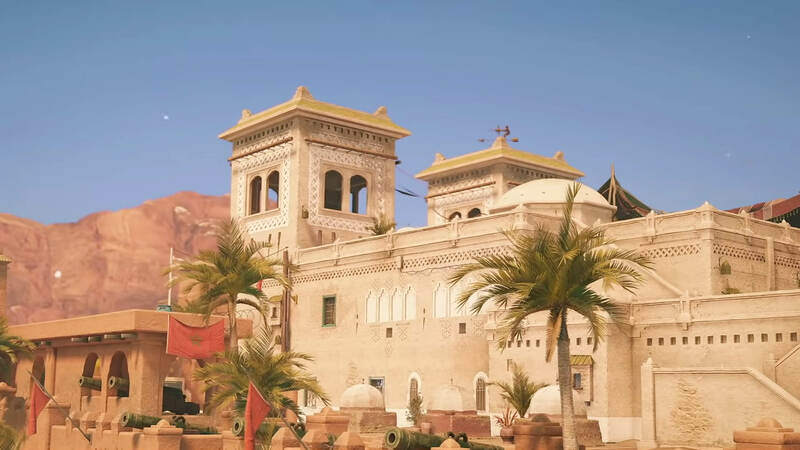 After Grim Sky’s rule breaking additions, Siege’s meta was in need of a litte stability, which Wind Bastion delivers in spades. Kaid feels like an essential addition to the defensive meta, which shores up a fundamental team role. Nomad and her Airjab gadget are much less important for the broader meta, but just as powerful in the right circumstances. 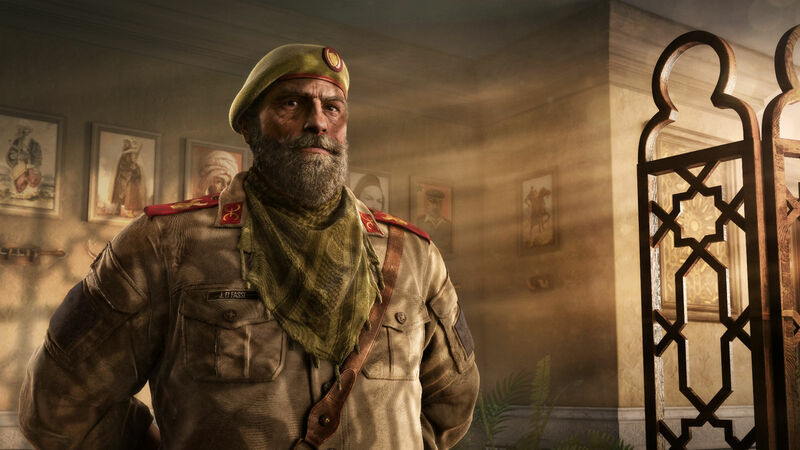 After a particularly tumultuous year for Rainbow Six Siege, with a number of controversial new operators arriving in the game since, Kaid and Nomad stand out by reinforcing the meta, not breaking it.